Bible journaling is a beautiful way to interact with God's word. But what if you can't draw or have no artistic talent to speak of? 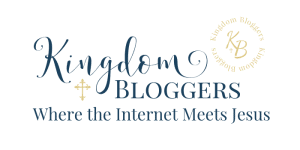 These posts on Bible journaling walk you through my experiences with Bible art and give you a number of pointers on where to start your own journey. So okay, I admit it, I am absolutely fascinated with the pictures of beautifully decorated Bible pages that are floating around on the internet. My Pinterest account has a couple of hundred pins with pictures that I just think are totally amazing… and I may have spent a couple of hours on YouTube watching videos with people flipping through their Bibles and telling me how it’s done. I’m back with some more tips on Bible journaling. Did you try to illustrate your faith? Well, I tried a few things (not as many as I would have liked) but I sure had fun with the story of the fish and the coin in Mathew 17:24-27. Last week we spoke about the 7 elements of great Bible art, you can read more about that here. This week I want to give you some tips on how to go about illustrating your faith. After months of watching YouTube and looking at pretty pictures on the internet I decided to dip my toes in… only to find out that I had actually been Bible journaling for years – just without the pretty pictures (you can read that story here).